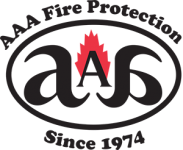 AAA Fire Protection Services is a fire prevention and fire suppression expert. We are a family-owned business that began in 1974 and has since provided expert service to Napa businesses and businesses throughout the entire North Bay Area. We offer a comprehensive set of fire protection services, including detailed and affordable fire sprinkler services. Our fire sprinkler services begin with a comprehensive fire sprinkler installation plan. Our design team works smoothly with your design team to create an efficient and affordable fire sprinkler system that is customized to the needs of your building. Part of our fire sprinkler services includes fire sprinklers inspections and, as needed, fire sprinkler repairs. It is always our goal that your system is 100 percent ready to defend your business from the ravaging effects of fire. In addition, we help businesses just like yours remain compliant with federal, state and local regulations. Our services include the collection of data and the production of documents that help you show governmental agencies that your building and business is in compliance with fire safety codes. For more information about our services or to find out how to work with our company, just give us a call at (800) 543-5556.